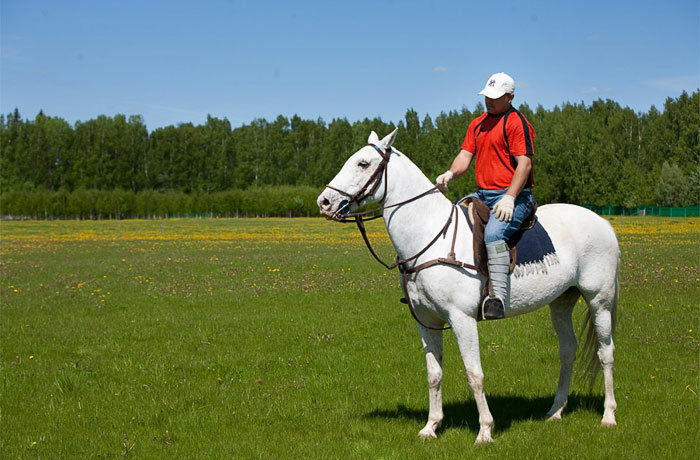 Horse riding and riding classes are good for everybody, no matter if you are a professional rider or not. 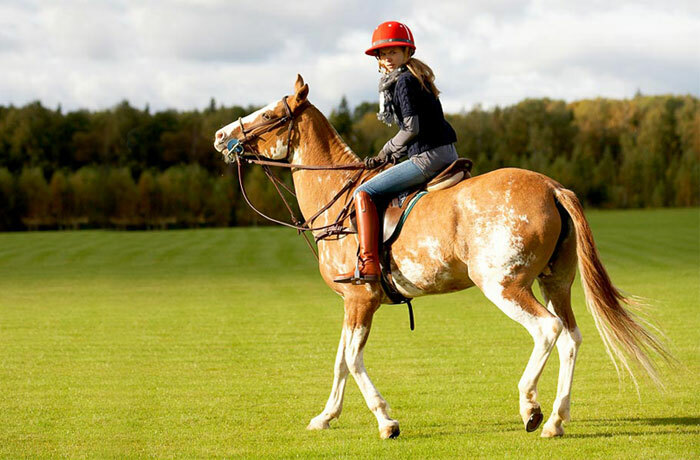 If you are a beginner, do not be afraid to start, because we have only professional trainers for your riding lessons. 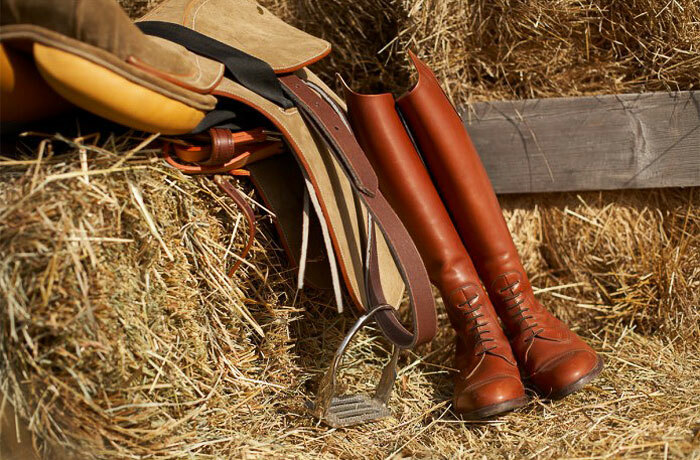 You are going to feel comfortable in the saddle soon after a few classes because of the individual touch, benevolence and special attention to each of your guests. Our classes proceed in a friendly and light atmosphere. You will learn how to treat a horse and will love these beautiful and smart animals for life. Both professional riders and beginners will be excited to visit our stables. Here we keep our pedigreed Argentinian polo ponies and a small pony Tmin, who is always a true star among children. 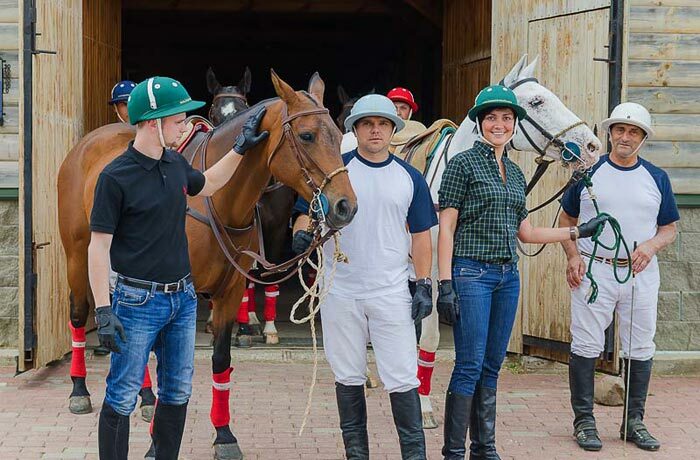 The stables are supplemented with rooms for sports equipment, dressing rooms, toilets and showers as well as a small dining room and comfortable bedrooms for grooms and sportsmen. 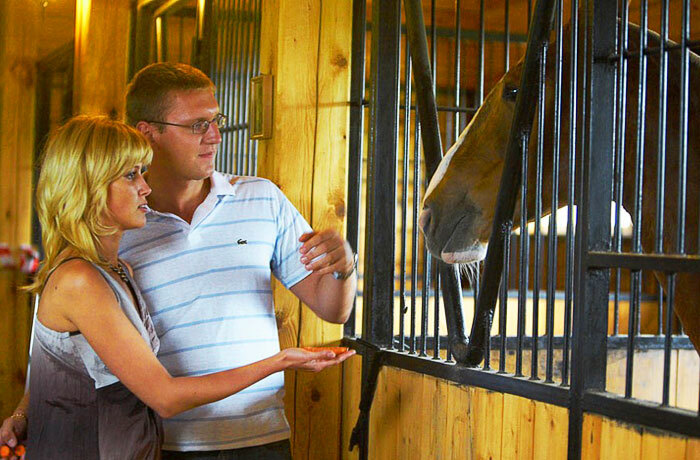 These amenities will make your horse riding experience unforgettable and you will fully enjoy your time with those wonderful animals. Riding classes cost 3 000 rub./45 min. per person.